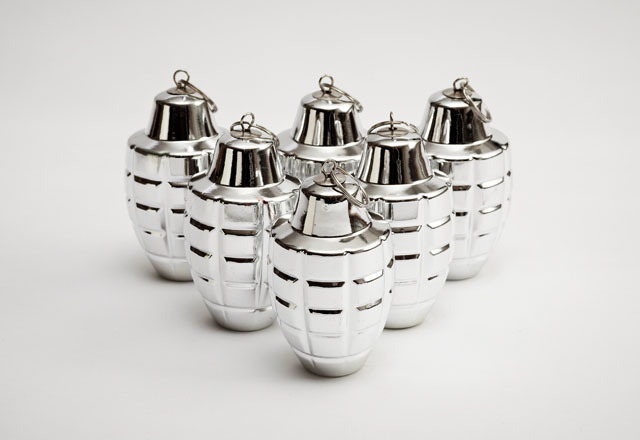 The Dorothy collective designed Xmas Declarations, grenade-shaped tree decorations, to benefit Ctrl.Alt.Shift in “their campaign against global conflict”. 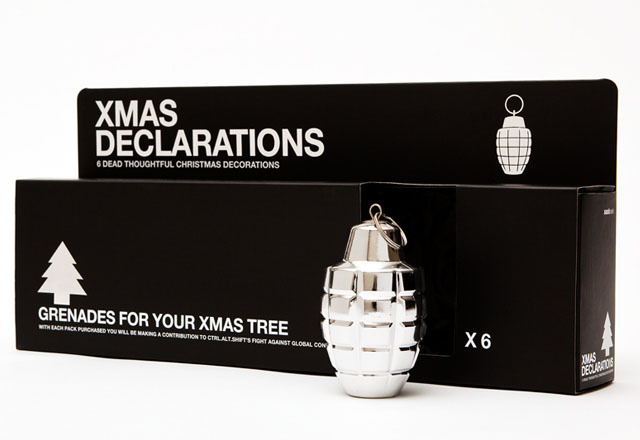 They come six to a package and are available to purchase online. 80% of the world’s poorest countries have suffered conflict in the past 15 years and 90% of war victims are civilian. In 2009 Ctrl.Alt.Shift launched a campaign to raise awareness of the catastrophic impact conflict has on communities. Dorothy was asked to develop a mechanic that could be sent to a small number of press contacts and advocators to help push the issue further up the social and political agenda. 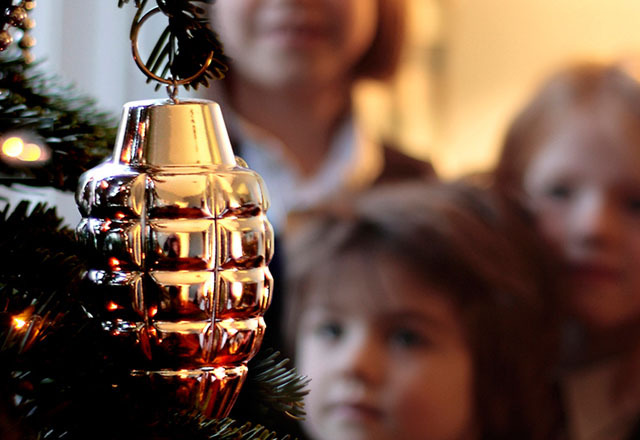 Dorothy’s set of alternative xmas decorations were designed to act as a stark reminder of the of the reality of war and how communities are torn apart by violent conflict. Packs were mailed out to press and peers, receiving good coverage in print and exceptional coverage online.